1. Packing cubes are awesome!! There are many ways to use cubes, such as packing outfits by day. For me, it was helpful to containerize “like” items, so I packed a cube for shirts, a cube for swimwear, a cube for chargers and cords, etc. 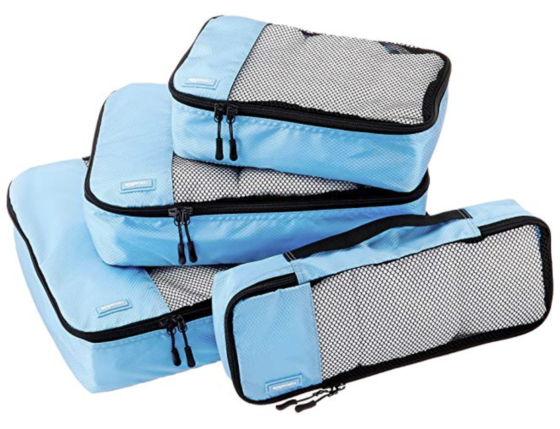 Many companies make packing cubes and you can find them at The Container Store, Bed Bath & Beyond, and online. I use this Amazon Basics 4-Piece Packing Cubes Set and I like them because they’re colorful and come in a variety of sizes, but do find the type and style that works for you. I just wish there was a way to LABEL these cubes!!! I know, I’m obsessed with labeling, but it really saves so much time and brain power. Please send your ingenious labeling ideas to me because I need to solve this quandary! 2. My second take away is really my husband’s smart idea. (I know he gets a lot of credit in my weekly emails, but he’s a continual source of organizing inspiration for me.) 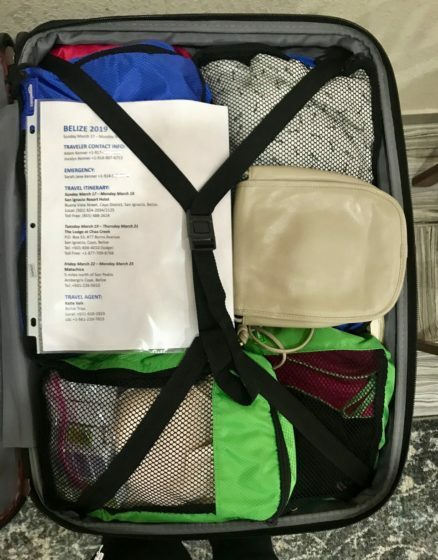 Since we travelled to 3 different locations during our trip, which required several modes of transportation and transitioning of luggage, my husband created a 1-page itinerary with contact information. He slid it into a page protector for each suitcase and we were good to go!